A number is a repdigit in a base it all the digits in its representation in base are equal. For example, 7, 222, and 88888 are repdigits in base 10, while is a repdigit in base 7. The repdigits composed by repeated ones are called repunits. 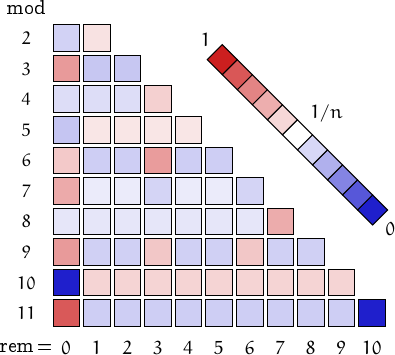 A non-trivial repdigit is a number with at least two digits, however it must be noted that every number can be represented as in base . 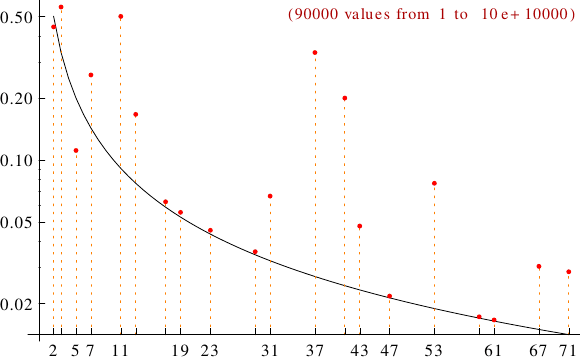 A graph displaying how many repdigits are multiples of the primes p from 2 to 71. In black the ideal line 1/p.